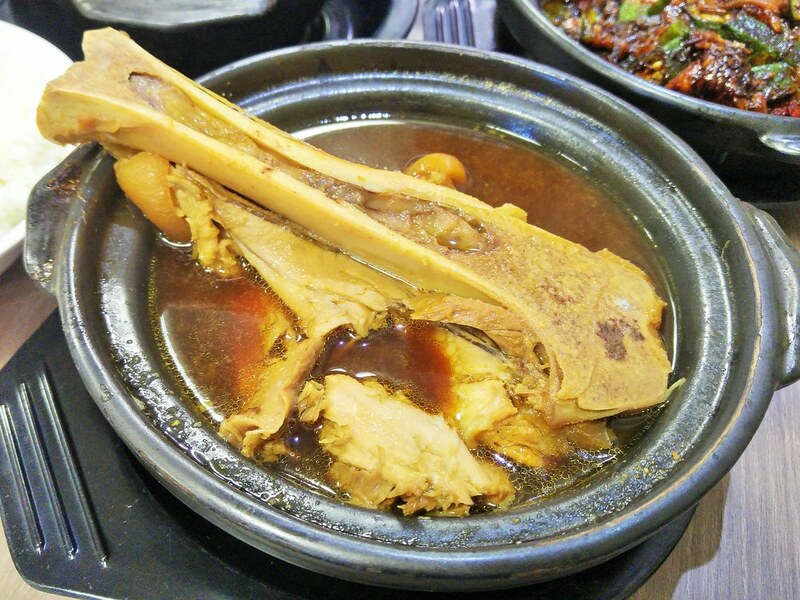 The taste of Bak Kut Teh varies from places to places. 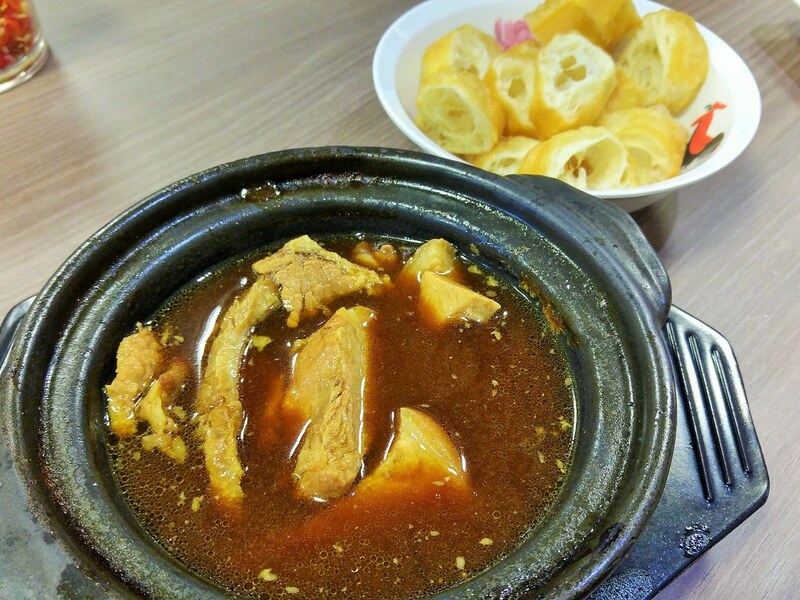 However, the herbal style bak kut teh's parentage is said to be in Klang. Kee Hiong Bak Kut Teh, the pioneering Klang Bak Kut Teh restaurant from Klang since 1940s, is now in our People's Park Complex! I learnt that any well-known bak kut teh outlet in Klang that you have stepped into, it’s likely to be run by a Lee. Lee Boon Teh is the man who brought bak kut teh to Klang from Fujian in the 1940s. 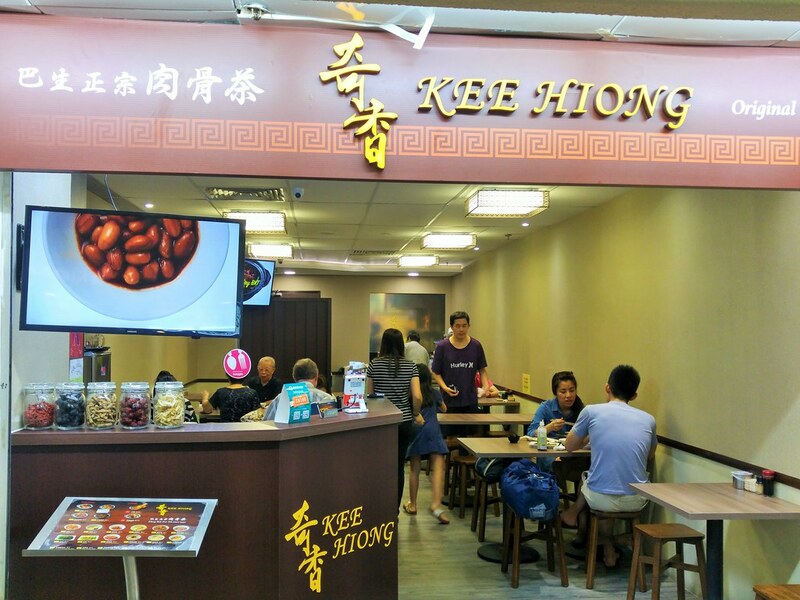 Kee Hiong Bak Kut Teh is now run by the third generation Lees, who open up branches separately. 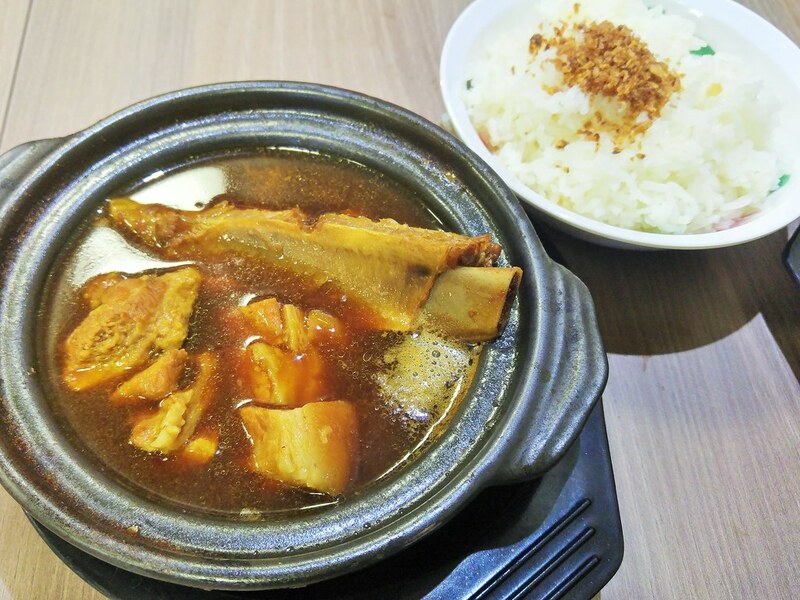 History aside, what's fascinating to me is that when the dish was known as bak kut (pork bone) at the beginning, but since it was brought in by Lee Boon Teh, it was known as bak kut teh over time. Klang Cut ($7.50) is a bowl with assorted parts, so we had the short ribs, pork belly, lean meats etc. Apparently this is quite common in Klang which is similar to my experience back in Malaysia. When ordering bak kut teh, if you didn't specify the portion you want, you will be served with assorted meats. I like their Steamed Fragrant Garlic Rice ($0.90) more than I thought I would. It looked plain to be honest. When the crunchy garlic bits released its fragrance into my mouth and mixed with the rice, the taste was heavenly. Made with more than 10 traditional Chinese herbs, simply the soup and the garlic rice will make a good meal! As we dine in air conditioned environment, the bak kut teh is served in claypot to keep them warm. 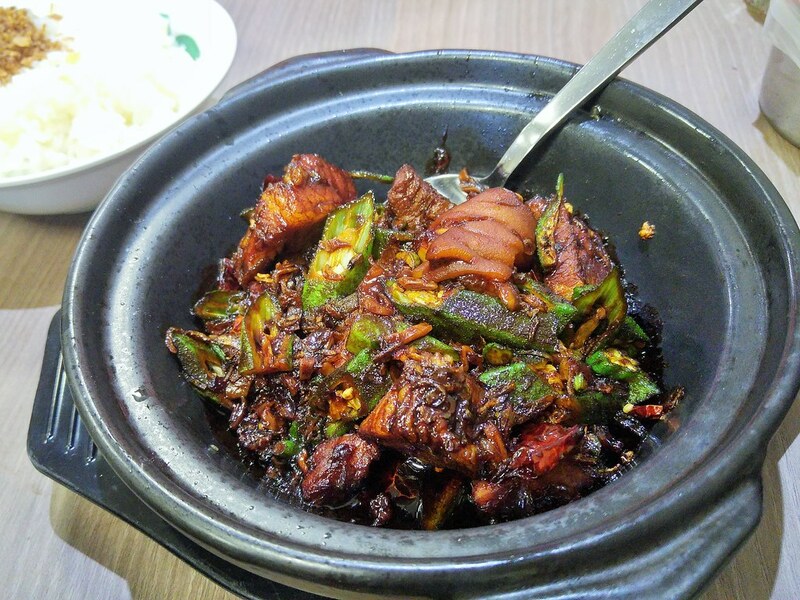 Due to space constraint, they are unable to offer bigger claypot for sharing portion, like those in Malaysia. I wish they could so that I could have the heaps of greens, mushrooms immersed in the soup, which is one of the reasons why I have always like their style of bak kut teh. Perhaps, this is the only bak kut teh shop in Singapore that you can find a tulang - Big bone ("Tua Kut") Bak Kut Teh Soup ($9). Limited to only 8 to 9 pieces daily. On good days, all will be lapped out by the lunch crowd by afternoon. This is the part with lots of collagen and gelatine. Not forgetting the buttery bone marrow. I would prefer the fatty portion to be a lot more tender, like a well-braised pig trotter but you might enjoy the firmer texture of this Big Bone. The Dry Bak Kut Teh ($8.50) really took me by surprise. For the longest time, I'm sceptical about the dry version when it looks so black and saucy. The sauce is a mixture of a reduction of the bak kut teh soup, black soy sauce and Chinese white wine, both specially imported from Malaysia. I now fully understand why mum loves Malaysia's black soy sauce so much. It not only give a nice glaze to a dish, it gives a deep caramelised flavour that most of the local sauces fail to offer. Like the Klang Cuts, there are assorted parts, such as pig trotters, lean meat and pork belly. The meats were tender and infused with the complexity of the sauce. One could easily scrap the pot clean. Same for their Chicken Feet with Mushroom ($4). The mushrooms had fully soaked up the sauce, firm and meaty. 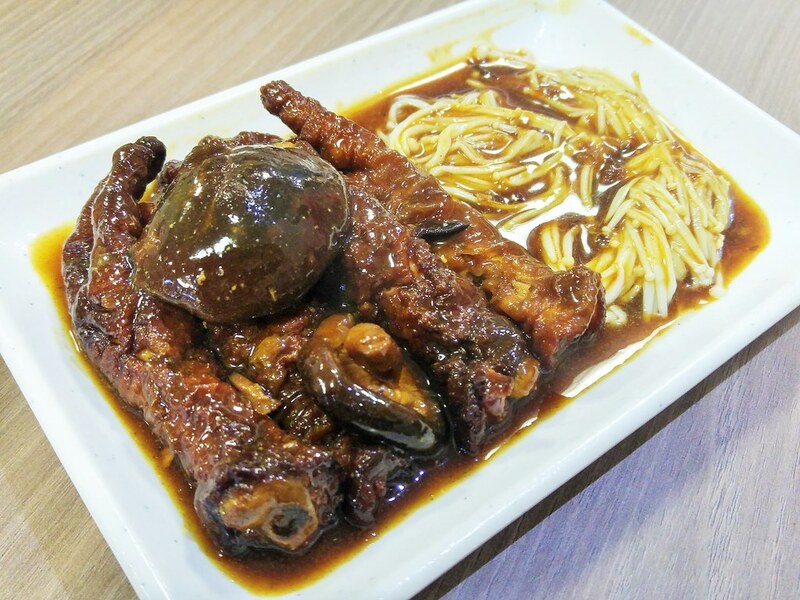 The chicken feet simply fell into bones with slight pressure. This is exactly the kind of taste that I look for in braised dish. You get all the flavours but not the salt. 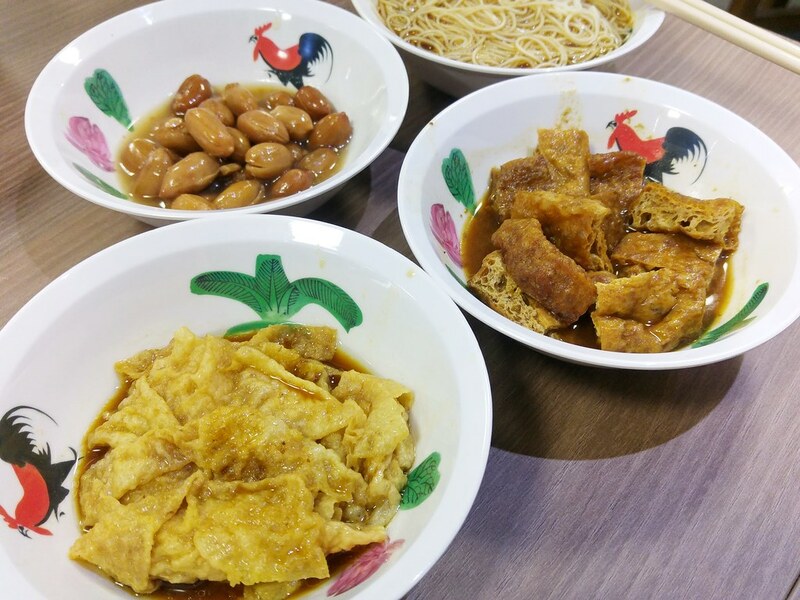 There are other side dishes on the menu such as Braised Bean Curb Skin ($2.50), Braised Peanuts ($2.00) and Braised Tau Pok ($1.60). What's missing is the preserved vegetables aka cai wei, which is traditionally not served in Klang. However, due to popular demands from the locals, it will be up on their menu soon. To me, bak kut teh and this pickled vegetables is like German pork knuckle with sauerkraut. My appetite is only half open without it. They also started offering Mee Sua ($2.20) after feedback from customers. The chefs are direct from the Malaysia kitchen! Impressive. That means you really get the real deal. The soup can definitely be more herbal which they have tuned it down so as to cater to the locals' preference. That, however, is not necessary as I believe that herbal bkt itself has a strong fan base and whoever likes peppery style are unlikely to switch to herbal. 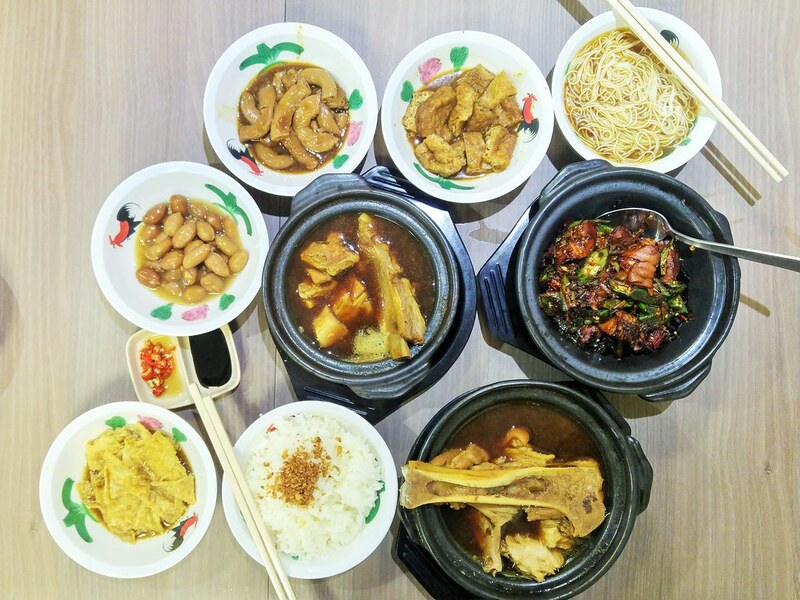 The owners are constantly gathering feedback to maintain and up the standard and quality of this original Klang Bak Kut Teh. I would highly recommend the dry version which will not only please your taste buds and that of your parents' too. Kee Hiong's operation hours is now 11am-9pm everyday and their shop's telephone number is 65320380.